HuffPost: The Dumbest #ExxonKnew Article… EVAH! | Watts Up With That? It’s been nearly four years since leaked documents revealed Exxon Mobil Corp.understood that fossil fuel emissions caused the planet to warm before it began funding a Big Tobacco-style misinformation campaign to discredit climate science. I don’t know which is funnier… The Huffington Post (hereinafter HuffPuff) blog post… Or the fact that Yahoo! thought this was news. You mean these legal woes? ExxonMobil declined the invitation to participate in the hearing. Under new rules, the European Union’s lawmakers could ban the company from lobbying the transnational parliament overseeing a market that in 2015 made up 14 percent of its global oil and gas production and into which it invested $2 billion last year to expand a new refinery. The 4 Bcf/d of natural gas was produced elsewhere and sold to European nations. The offshore projects in Romania and Cyprus aren’t producing yet and the EU Parliament has about as much control over this as the Obama Maladministration had over frac’ing. The participants in the EU Parliament witch burning will be Naomi Oreske’s intern, Geoffrey Supran, and a handful of other political hacks. “Inaccurate distortions of ExxonMobil’s nearly 40-year history of climate research” is an understatement. ExxonMobil and its predecessor companies didn’t know anything that wasn’t available to anyone with a subscription to the Journal of Geophysical Research and other publicly available journals. The idiots have even cited Vail’s work on sea level cycles as “evidence” of some sort of conspiracy. I hope that ExxonMobil, ConocoPhillips and/or Chevron file a RICO lawsuit against these @$$ hats. Every single one of the “secret” Exxon documents brandished by these morons can be parried in a similar fashion. I’m surprised they haven’t gone after the authors of my college textbooks. Dott, Robert H. & Roger L. Batten. Evolution of the Earth. McGraw-Hill, Inc. Second Edition 1976. p. 441. The atmosphere’s blanketing effect over the earth’s surface has been compared to the functioning of a greenhouse. Short-wave sunlight passes as easily through the glass of the greenhouse as through the atmosphere. Because glass is opaque to the long-wave radiation from the warm interior of the greenhouse, it hinders the escape of energy. As a planet, the earth is not warming or cooling appreciably on the average, because it loses as much radiant energy as it gains. Kolenkow, Robert J., Reid A. Bryson, Douglas B. Carter, R. Keith Julian, Robert A. Muller, Theodore M. Oberlander, Robert P. Sharp & M. Gordon Wolman. Physical geography today : a portrait of a planet. Del Mar, Calif. : CRM Books, . p. 64. Fortunately climate models saved us from The Ice Age Cometh! Hey Alexander C. Kaufman, HuffPuff blogger extraordinaire, here’s a hint: ExxonMobil is an “oil & gas company.” It is supposed to “increase” and “accelerate” its output… Technically, that’s what all businesses are supposed to do: “increase” and “accelerate” their output. Alexander C. Kaufman, you earned five Billy Madison’s. Yahoo! News earned twenty-five Billy Madison’s for thinking his idiotic blog post was news. Author’s note: If you have any doubt as to when I was being sarcastic and when I was being serious, err on the side of sarcasm. Note to Clyde Spencer: a mutual textbook of ours is now available in digital format: The Oceans Their Physics, Chemistry, and General Biology by Sverdrup, Johnson & Fleming. Donn, William L. Meteorology. 4th Edition. McGraw-Hill 1975. Kolenkow, Robert J., Reid A. Bryson, Douglas B. Carter, R. Keith Julian, Robert A. Muller, Theodore M. Oberlander, Robert P. Sharp & M. Gordon Wolman. Physical geography today : a portrait of a planet. Del Mar, Calif. : CRM Books, . Möller, F. (1963), On the influence of changes in the CO2 concentration in air on the radiation balance of the Earth’s surface and on the climate. J. Geophys. Res., 68(13), 3877–3886, doi:10.1029/JZ068i013p03877. The Guardian: “Climate change denial won’t even benefit oil companies soon”… Is it even grammatically possible to deny climate change? The problem is that you’re looking at like a conservative. All of this makes sense to liberals. And they ought to be going after the Rockefeller Foundation to pay reparations. The information was in the public domain. It was not a secret evil conspiracy. The only charge is that they “downplayed” the role of CO2 in 1970. BUT BACK THEN SO DID CLIMATE SCIENTISTS saying that the aerosol effect can overcome the CO2 effect. Back then they had to explain cooling not warming. I wonder what these people would of done during Stone Age as glaciers were retreating and ice dams were melting ~13K years ago ??? No need to wonder, its recorded history: They would start burning witches. Beware the ignorant fearful mobs. But…but…but.. They weren’t “climate scientist” and “The Consensus” said we were heading for an ice age! I like Huffing and Puffington Post. How about Enough Is Enough Post. as in Stop, I can’t take anymore. Their basic mission is to get their lies into the public eye, considering most fools believe the first thing the read, see or hear. After that, it’s more difficult for anyone to rebut it no matter how ridiculous the original assertion. Yes! Repeat the lie, over and over. People will remember reading this, and there is never any doubt in the articles that they might be wrong. If it ever makes it to court, and the lies are exposed, they will not report it. And the next time it comes up they will continue to act like it’s true. Most of the people will never even question it. Hell, many have come to believe that Extreme Weather really has gotten worse. The whole Climate Crises is Built on a foundation of lies. The only real question now is can they keep it going long enough to grab enough power that they can make speaking the truth a crime. Can’t compare with the WaPoo. My kind of satire! Facts = Oats They ingest the knowledge/evidence, process it as only they can – Viola! Hoof Poo! Humble Oil and Refining Co. was founded in 1911 in Humble, Texas. 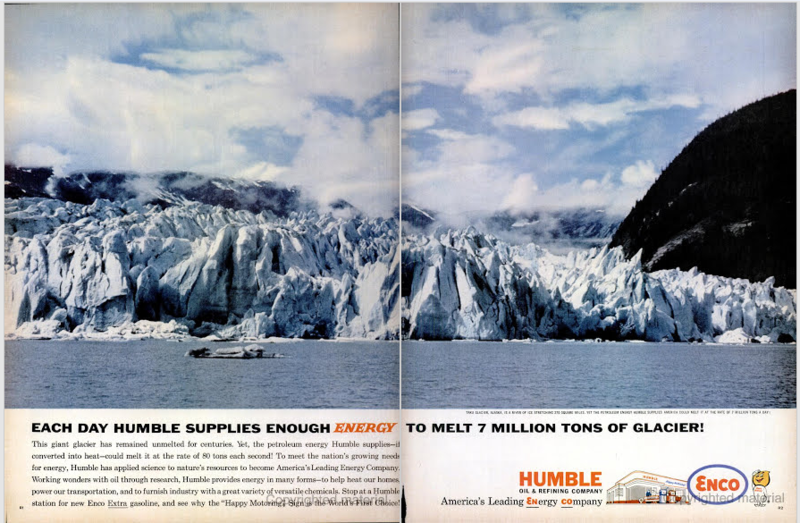 In 1919, a 50% interest in Humble was acquired by Standard Oil of New Jersey which acquired the rest of the company in September 1959 and merged with its parent to become Exxon Company, USA in 1973. In 1949 Magnolia had a capitalization of $125 million, all shares owned by Socony-Vacuum except for qualifying shares owned by members of Magnolia’s board of directors. Magnolia Pipe Line Company was capitalized at $16.5 million, its stock being owned by Magnolia Petroleum Company except for qualifying shares held by directors of the pipeline company. Gross fixed assets of the company on December 31, 1948, were nearly $700 million, including the assets of the pipeline company, which had 8,670 miles of pipeline extending into nine states. General offices were in Dallas in 1949, when the company had permits to do business in twenty states and had some 12,500 employees. The Magnolia Petroleum Company merged with Socony Mobil Oil Company on September 30, 1959. Its operations became part of Mobil Oil Company, which had been formed in March 1959 as an operating division of Socony Mobil, responsible for all operations except marine transportation in the United States and Canada. Magnolia Pipe Line Company was not absorbed into Mobil Oil Company but remained a common carrier affiliate of Socony Mobil. Wasn’t it operating as “ESSO” in the US before becoming “EXXON”… In Canada and parts of Europe, “ESSO” exists. I thought they discovered that ESSO sounds like something rude in some language, so changed it. I’ve no idea why it was not changed in the UK or Europe, though. The gas stations were ESSO in northern states and ENCO in some southern states. The corporation was ESSO, which I think stood for Eastern States Standard Oil. It was descended form Standard Oil of New Jersey and Mobil was descended from Standard Oil of New York (SOCONY). Thought it was a phonetic spelling for Standard Oil (S.O.). The Ohio Oil Company – more commonly referred to as “The Ohio”, and marketed gasoline under the Marathon name. Company is now known as Marathon Oil Company, and was often a rival with in-state Standard spinoff Sohio. 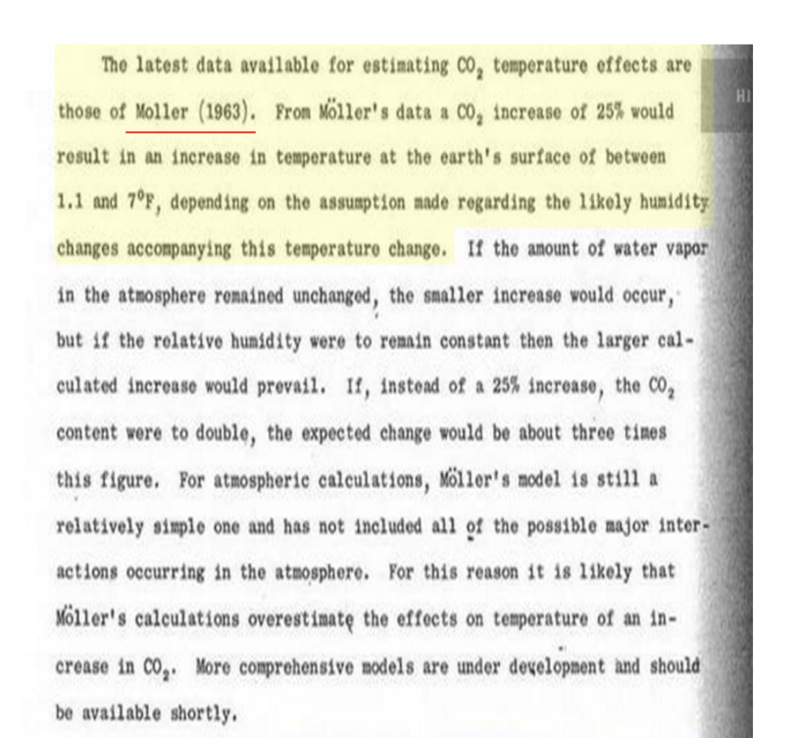 Would I be mistaken that despite the billions of dollars spent on climate change research that very little has been validated since Moller wrote in the Journal of Geophysical Research in 1963 ? No, you would not be mistaken. The catastrophe crowd just thinks you’re no fun. Lol! I checked and the record high for today, March 20, was 84*F set in 2012. Yet the same site in 2014 (2 years after 2012) listed the record high for March 20 as 78*F set in 1921. Perhaps a good portion of those billions of dollars spent on climate change research was spent on erasers? the real state of affairs would be if Europe would suddenly not have access to oil markets. I am sure he has not even considered the ramifications of his noble ideas. Nah it is more fun to let this play out, watching Europe shooting itself in the foot is always good for a laugh. It was a bit like Merkel inviting half of Africa to come visit what could possibly go wrong. It’s the decadence of the West. The EU attacks those who keep them alive. HuffPoo is an idiot box. I check it several times a day in order to know what the progtard masses are being instructed to believe. But sad more than funny. It’s important to hear news from both sides. If you only read Breitbart, you’ll be better informed than if you only read HuffPo, but not as informed as you could be. Some say it is better to be uninformed than to be misinformed. No one even needed a subscription, David. A person could read J. Geophy. Res. in the library–didn’t even have to ask for it in a hushed voice at the circulation desk. This is what I learned. “The ocean, with its much higher carbon-dioxide content, should act as a reservoir for the atmosphere and the land, but the rates of exchange and the factors determining the equilibrium point are no means clear.” Revelle and Fairbridge, 1957, Chapter 10, Carbonates and Carbon Dioxide. Geological Society of America. Memoir 67(1):242. Easier to remember. ‘The increase in the water vapor content of the atmosphere with rising temperature causes a self-amplification effect which results in almost arbitrary temperature changes, e.g. for constant relative humidity ΔT = +10° in the above mentioned case.’ ‘self-amplification’? Has there been an increase in the water vapor? ‘used in politics or by private companies and other actors in society to mislead the public on the negative impact of certain industrial activities or policies on the climate.’ Shouldn’t they be looking into “alarmist” which have been misleading us for now many years? Hansen’s feedback analysis relies on CO2 increasing the temperature and evaporating more water into the atmosphere, which in turn will trap more heat and raise the temperature even more. I was always taught that that is why thunderstorms form. To release that energy in the atmosphere. Now that I think about it, I have no idea how it gets released by thunderstorm. But they do have enormous energy in their system. I guess if your head office is in Europe you get a free pass? When I read the long LA Times article on “Exxon Knew”, I just had to laugh. Aren’t they also designed for 60 foot waves? So now their total height above water is 60 foot 2 inches? That… and sea level rise had nothing to do with it. The seafloor under producing platforms tends to subside. OK, that goes a long way towards explaining what is happening in the Arctic Winter, but not the Antarctic. that goes a long way towards explaining what is happening in the Arctic Winter, … not the Antarctic. The objective is to destroy the brand. As they did with BP and are now going to do with Boeing. Why don’t you get runaway warming in actual greenhouses? The atmosphere in greenhouses is usually damp so the proposed increase in temperature could increase the amount of water vapour that is proposed as a major reason for global increase in temperature. Could it be that with the increase in temperature the outgoing radiation increases until it reaches a dynamic equilibrium with incoming radiation being balances by outgoing? Eco loons believe in the man-made-climate-change unicorn. Apparently also Exxon believes in the-man-made-climate-change unicorn. Now one group of believers in unicorns is blaming another group of believers in unicorns that they did not do anything about the, ehh .., unicorns. Am I watching a Monty Python scetch? Monty Python understood far more about human nature then most people gave them credit for. Well, their sketches certainly did. Listen to some of them talk politics, and they don’t seem to understand as much as their sketches would indicate that they do. The repressive totalitarian world government regime needs a reason to take over. The HuffPo, greatest spreader of hate an division in the media. And yet we have climate scientists who are just certain that *most* or *all* the warmth of today comes from CO2. 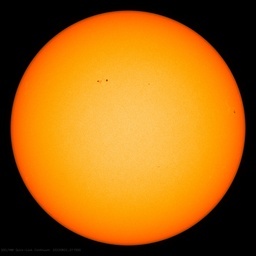 Of course, the climate scientists are just speculating because none of them can put a number to the amount of extra warmth CO2 is adding to the atmosphere. All they can do is guess. Guesses shouldn’t lead to certainty. It is the most ridiculous charge ever conceived. Those brilliant Exxon scientists somehow fully understood the effects of rising CO2 and the risks of climate change, well before the balance of the world’s climate scientists worked it out by spending billions of dollars and another 40 years to research the matter. The whole premise reeks. Or those Exxon guys deserve a Nobel Prize for being geniuses. Plus, it’s blaming the lumberjack for the “forest destruction” of the wooden furniture you ordered all by yourself. Good facts, but how important are facts? The entire strategy of the green mob is to put this question before lay-persons who have read the “truth” in the press and from politicians. As one of the most famous lawyers an orators in history, Cicero, noted more that 2000 years ago, a trial is not about facts, it all about what you can make people believe. With the ungodly amount of money being funded by governments for wind and solar energy for a little tiny bit of CO2 reductions at a time, and the government of Canada kicking me out of the country instead of giving me permanent residency as they should have, I am upset with every government in the world right now. I say we give the governments of the world, that were funding wind and solar power, one week to come up with $15 million to fund three hydrocarbon demonstration units. The ZEST™¹ (Zero Emissions SAGD Technology) Process makes Athabasca Bitumen emit 45% lower CO2 emissions than the Average USA Petroleum Refined in the USA, the ZECCOM™¹ (Zero Emissions Coal Combustion) Process that make col emit nothing at all, and the ZENGCOM™¹ (Zero Emissions Natural Gas Combustion) process that does the same for natural gas. These three processes when fully utilized will reduce global CO2 emissions by 86.9%. Since God put the fossil fuels underground for humans to use before they killed all of the whales, and guided my career so that I would know how to develop these processes and then asked me to develop them, I am pretty sure he wants fossil fuel use to continue, and he is not real happy that people are trying to shut it down. Guess who really controls the weather. Since the governments have been funding solar and wind power and I got kicked out of Canada, I say we give them 1 more week and if they don’t come up with $15 million for funding these three demonstration units, they get voted out of office as soon as possible, and industry pool their resources. The petroleum Industry could come up with $5 million for the ZEST™¹ Process Demonstration Unit, the coal industry comes up with $5 million for the ZECCOM™¹ Process Demonstration Unit, and the natural gas industry comes up with the $5 million for the ZENGCOM™¹ Process Demonstration Unit and these can be built wherever industry decides that they should be built. I do believe that industry will want the developer of these processes involved during design, construction, startup, and operation. Having the demonstration units close together would be a real advantage. Un case the e0mail below does not work r-l0hood@ shaw.ca will work for at east 1 more year. This is one reason HuffPo unionized. It’s grueling, mental cruelty to write and research nonsense to this extent on a regular basis. Peoble should have known the impact oil use would do, and yet they continued using the products. Should they stop selling it or should they have put a picture on with a burning globe? How is Exxon”s behavior different from the behavior of other oil companies? If all of them quit producing oil, how long before “major cites” become uninhabitable? Weeks before it is chaos. Months before food and basic necessities of life are unavailable! It is time for oil companies to cut off governments that are governing against the interests of the public. There is no possibility we can do without oil, in major cities. These prosecutors cannot want it to stop flowing. So the only end game here is a government takeover of oil production. Because that worked so well for Venezuela….